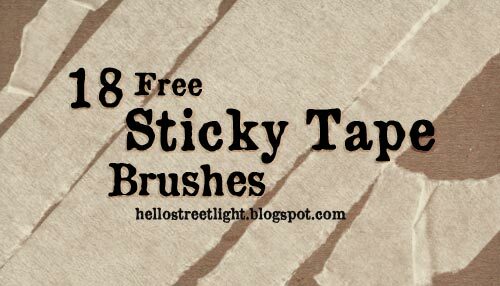 Here's a sticky tape brush set. I tried to put lots of variation on the brushes. There are some normal-looking ones and some torn and folded pieces. Try mixing and slapping them together to get some really nice tape.. tapey.. tapeness (sorry, I can't think of a word). 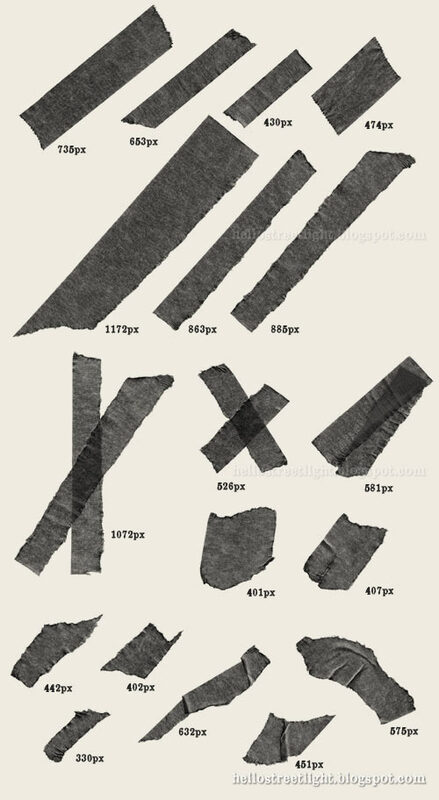 You can also try using them as an eraser for adding texture or torn-paper effects. And here's a nice little tip: if you set the brush color to a very dark blue one, you get a torn denim-like fabric!